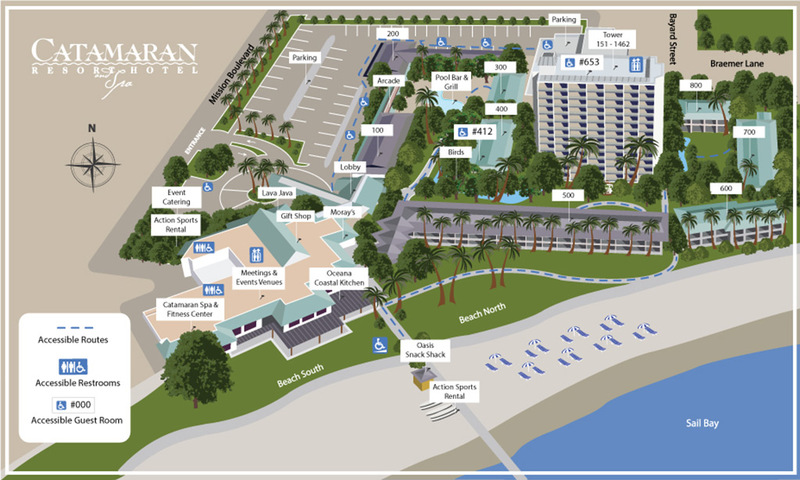 At the Catamaran Resort Hotel and Spa, making our resort accessible for all guests is a top priority. Discover accommodating features both in-room and throughout the property to ensure guests with disabilities and their traveling companions are as comfortable as possible. Please let us know your preference and other specific requests when you reserve your room.